Want to learn a better way to display your precious book and decorative collections on shelves? Take a look at the inspiring tips below. 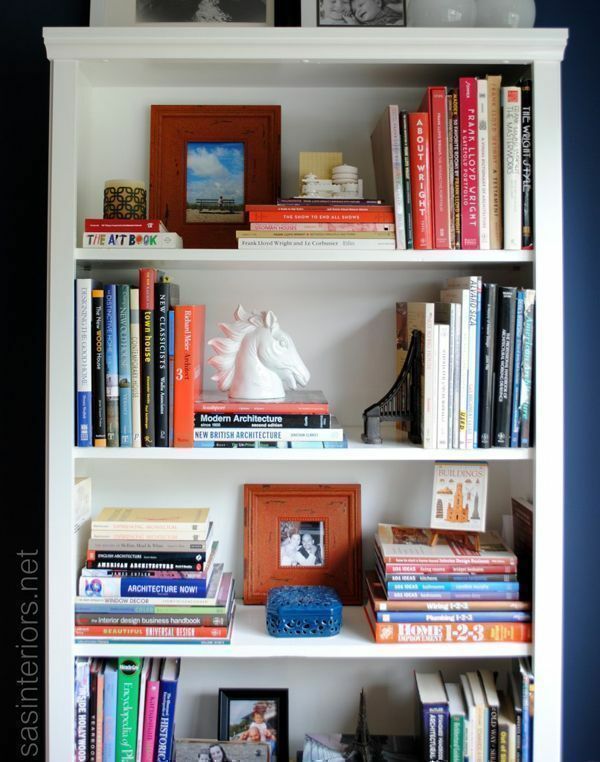 Styling bookcases uses the same trick as composing anything visually pleasing and interesting. Much like composing an image for photography, you can make use of certain rules that will allow you to come up with beautifully styled displays, thereby adding to the aesthetic value of your room design. 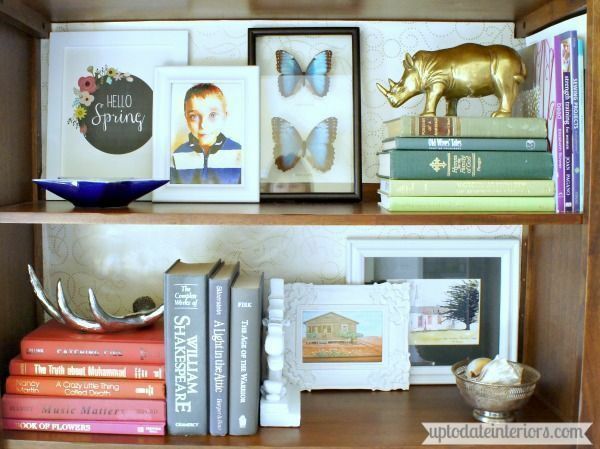 Don’t just line up books and décor on the shelf in one layer. 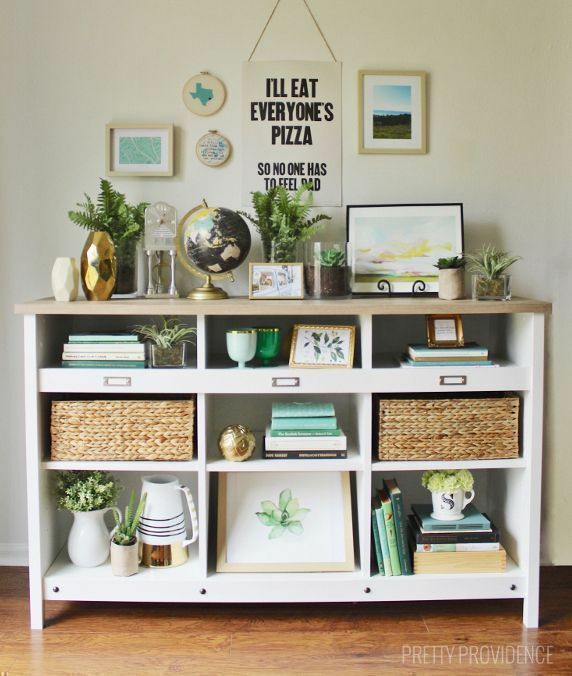 This works well especially if your bookshelves are deep and wide. Place items from back, and layer them little by little towards the front. If you look at the orange arrows in the image above, it shows similar objects—in this case, books—positioned in a triangular manner, or perhaps in a zigzag manner. 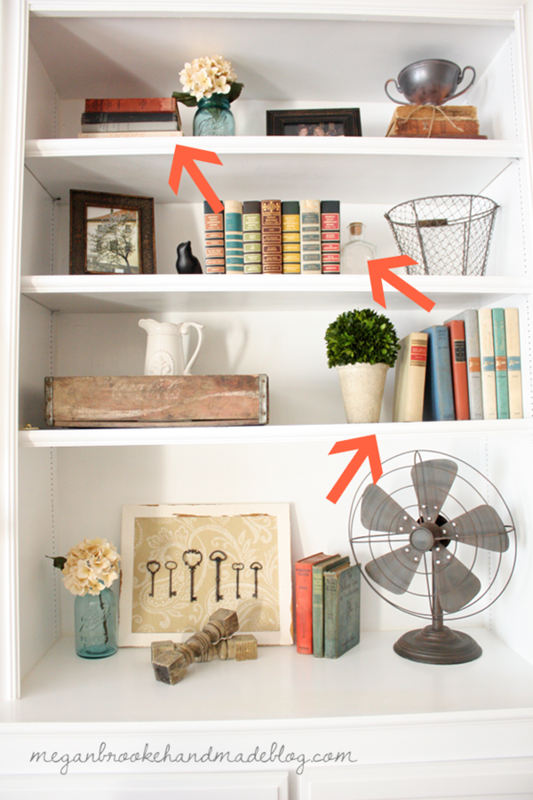 This helps your bookcase appear visually balanced—one side is neither too heavy or too light. When placing books on the shelf, it’s also better to create a little dimension, by positioning some standing up, and others lying down. You can even use the horizontally placed books as bookends. 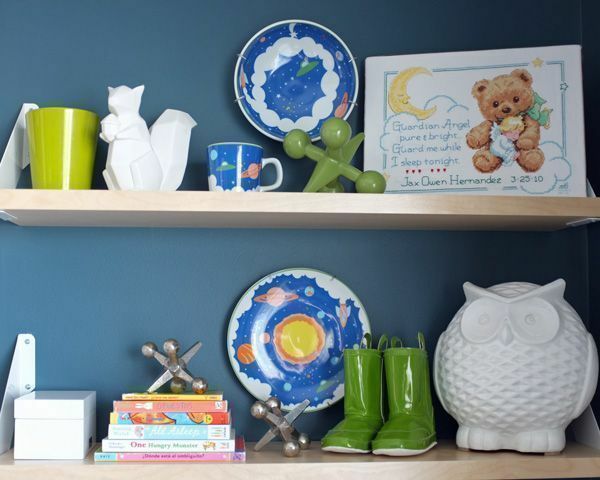 Teal and Lime also has another interesting insight for styling shelves and bookcases: “You need a mix of vertical and horizontal items AND objects to give the arrangement dimension. 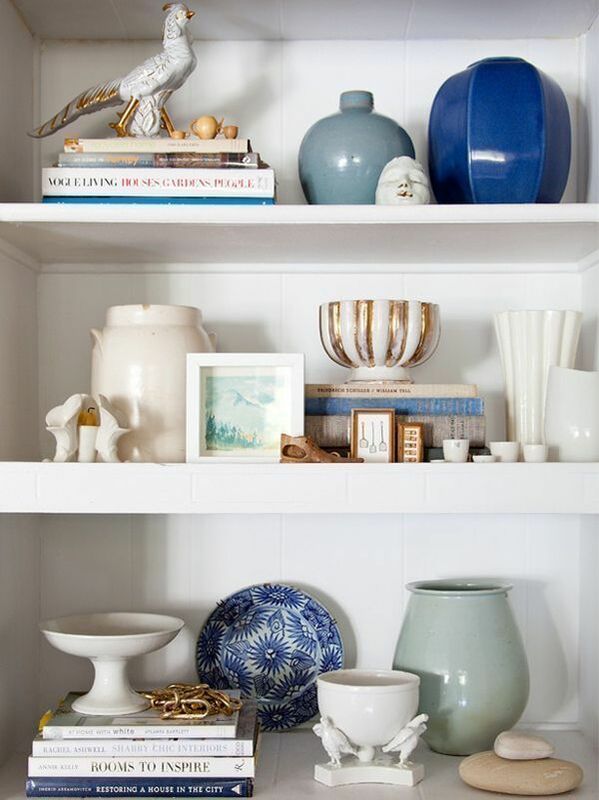 Objects give contrast and interest to a grouping of décor. They might be personal, they might be a conversation starter, they might just be beautiful to look at,” Jackie Hernandez of Teal and Lime advises. 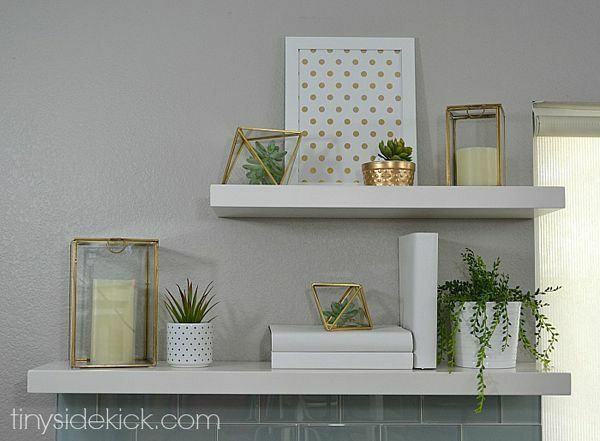 One of the functions of adding objects to your décor groupings is that they bridge the horizontal and vertical elements, and add more personality to your display. Prefer a cleaner look to your bookshelf? 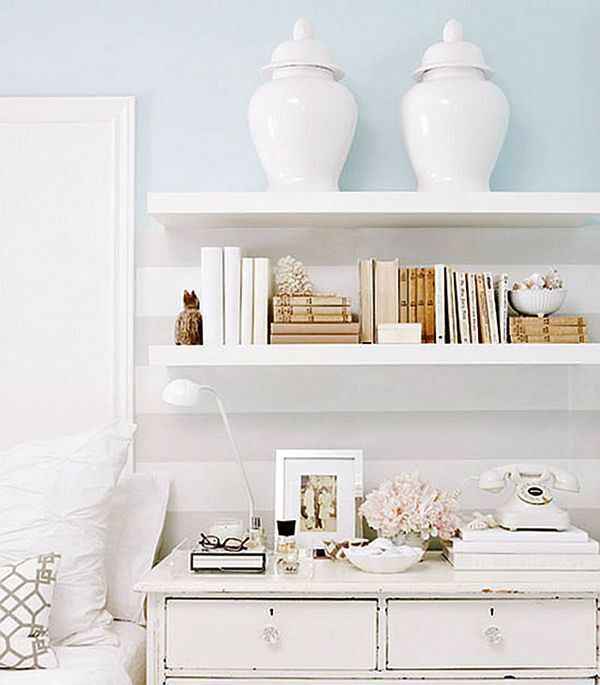 Wrap those books in white paper, and make use of a clean, fresh palette for your decorative additions. 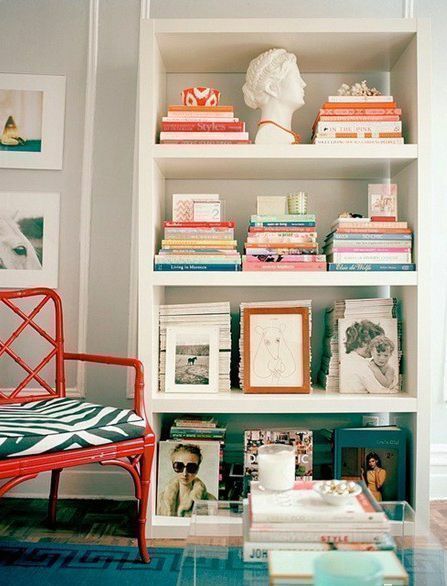 You can also group similarly coloured books together, and top them off with accessories or tabletop décor. Sticking to a colour palette creates a harmonious look to your display, and gives you visual—and as a result, inner—peace. Another interesting way to create a little negative space is to place books in horizontal stacks on the shelves, but set a little distance apart from each other. Then prop up the books with interesting covers, and break up the monotony of book spines with a few objects, like a bust, a piece of coral, or a bowl. Here are more tips on how to display your books: organising your home library, using unique bookkeepers, choosing between shelving or not shelving your books, and getting inspiration from these home libraries.